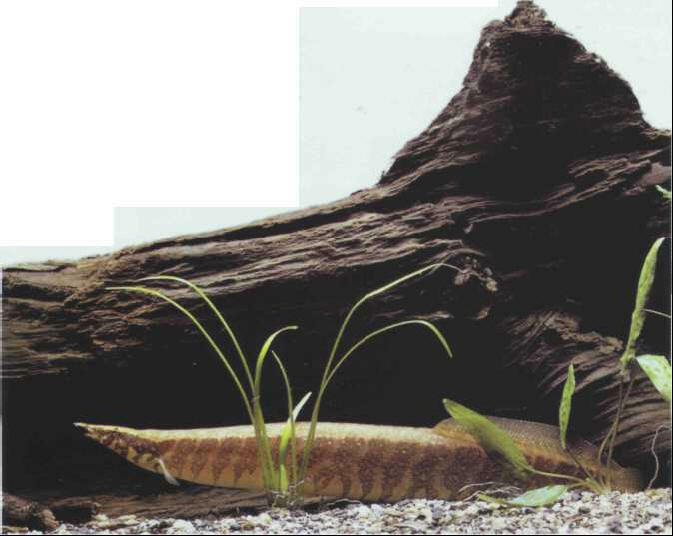 Several color variants are sold commercially under the name of Mastacembelus or spiny eel. The long snout acts as an organ of touch: only the head remains sticking out when the fish buries itself in the sand for protection. It is best to keep only one specimen, otherwise there will be constant fighting. Be careful too that this species does not escape from the tank, as it is very agile. Breeding in captivity is impossible without hormone injections. Size: 20 cm.